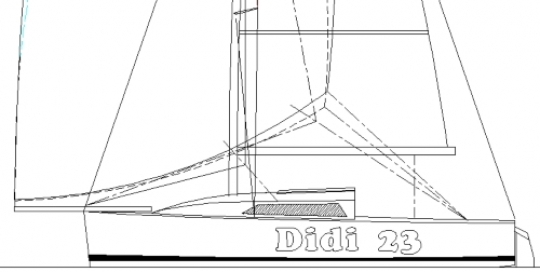 The Didi 23 is a radius chine plywood cruiser racer with options of lifting or fixed keel and tall or short fractional sloop rigs. She has compact but comfortable accommdation for 4 people in racing or cruising configurations. 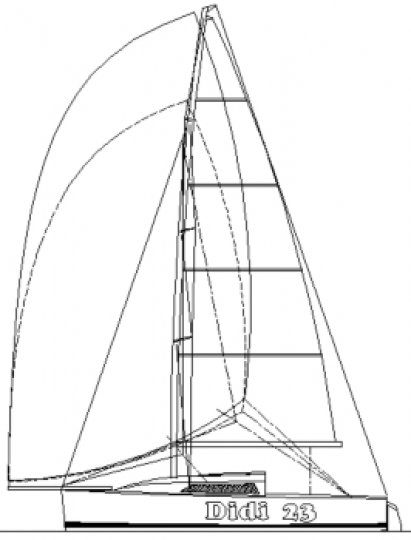 The racing configuration has a long trench cockpit with two quarter berths below and the racing configuration has a short cockpit with wide bridgedeck and transverse double berth below. Accommodation also includes a small galley and enclosed heads. Powering is with an outboard or small saildrive diesel. 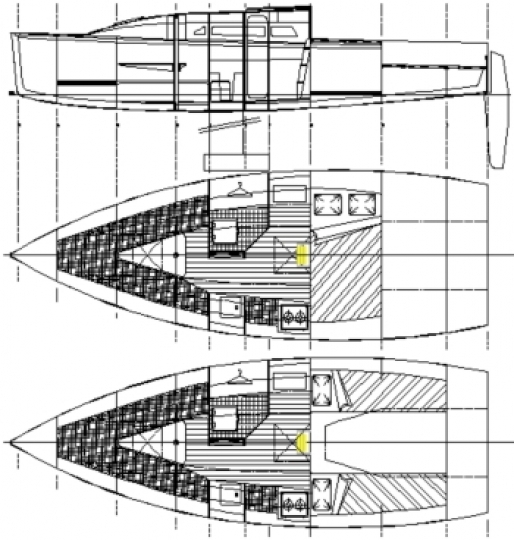 Keel bulb options are a side profile that is easily cast by an amateur or a more streamlined beavertail bulb that is more suited to casting by professionals.